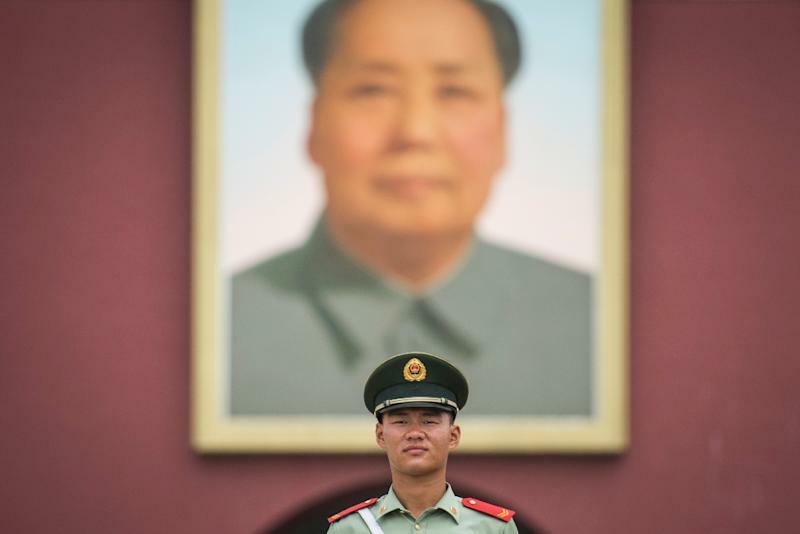 Beijing (AFP) - Chinese police have detained several activists while others were placed under surveillance for the anniversary of the bloody 1989 crackdown in Tiananmen Square, which was heavily policed on Saturday. 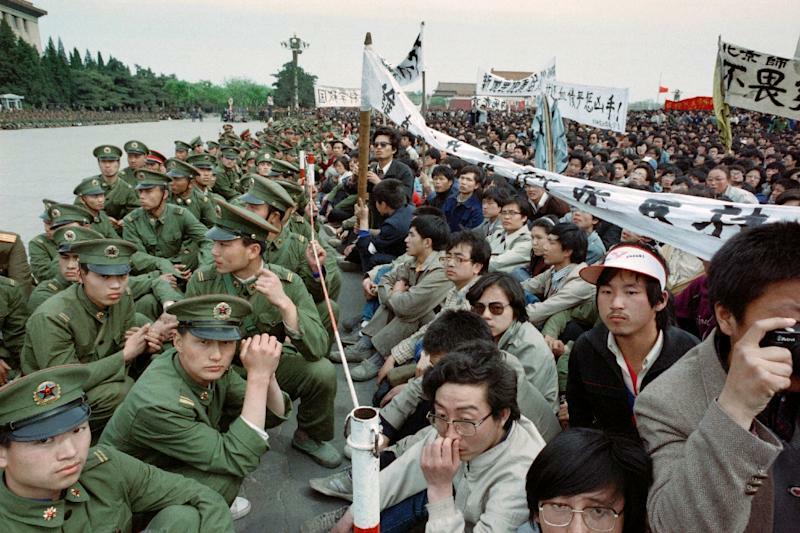 On June 4 1989 military tanks rolled into the square in the centre of Beijing to crush pro-democracy protests, killing hundreds of unarmed civilians -- by some estimates thousands. Six human rights activists, including the poet Liang Taiping, have been held by Beijing police since Thursday after holding a private ceremony commemorating June 4, the Chinese NGO Weiquanwang said. The detained activists were suspected of "provoking quarrels and fomenting unrest", the group said, adding another activist had "disappeared" in recent days in the capital. 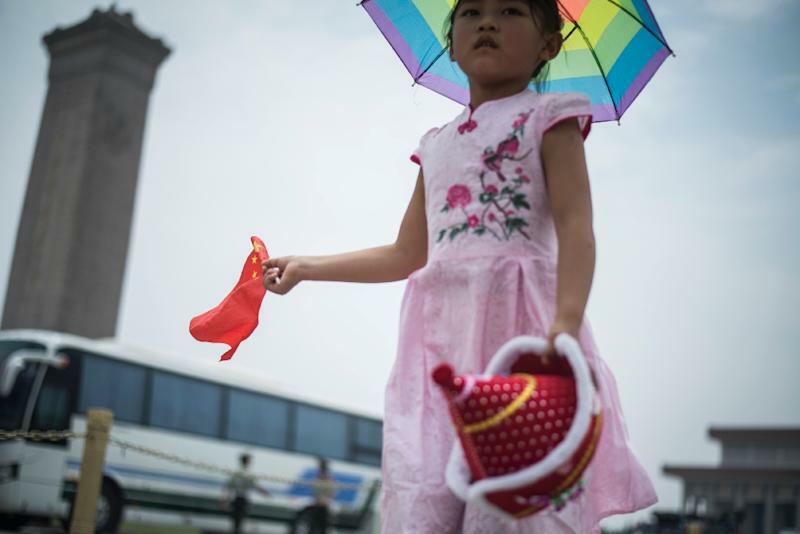 As in previous years, the "Tiananmen Mothers", an association of parents who lost children during the violence, were placed under heavy surveillance in the lead up to the anniversary. Tiananmen square in the centre of Beijing was also under tight security on Saturday, with guards at the entry points into the iconic tourist spot checking the IDs and passports of visitors more closely than usual, an AFP photographer at the scene said. Around a dozen parents from the Tiananmen Mothers visited a Beijing cemetery on Saturday where many of those killed in the crackdown are buried. They said they were outnumbered by security forces as they paid their respects at the graves of their children. "We have been under surveillance since last week... 30 (plainclothes policemen) were at the cemetery," said Zhang Xianling, whose 19-year-old son was killed in 1989. A resident of Sichuan was also arrested this week for selling alcohol with labels that read "89-4 June" and images of tanks, according to Hong Kong-based media. The Tiananmen Mothers penned an open letter slamming the "27 years of white terror and suffocation" they have been subjected to by the authorities. "We the victims' families are eavesdropped upon and surveilled by the police; we are followed or even detained, and our computers searched and confiscated," read the letter signed by the group's members and released the NGO Human Rights in China. The letter also said they had been warned that all visits to the home of the group's founder Ding Zilin, who is now 79-years-old and in poor health, would be restricted from April 22 to June 4. Ding was under increased surveillance at her home and the police had cut the household telephone line, Hong Kong-based media reported. Calls to Ding's telephone number on Saturday were met with a recorded message: "The user you have contacted does not have the right to receive calls." Meanwhile, the state-run Global Times newspaper ran an editorial in its print edition describing June 4 as "a normal day". "This does not mean Chinese people have all forgotten about the turmoil. It is simply that most Chinese people tend to agree that no more debate is necessary over that incident," the editorial read. The piece pointed to the collapse of the Soviet Union and the unrest in the Middle East that followed the Arab Spring as evidence that China is "lucky that the rioters did not succeed at that time". In Hong Kong, a planned vigil for those killed in the 1989 crackdown -- which is held annually and usually draws tens of thousands of people -- has exposed a rift within the city's own pro-democracy camp. Young activists from the new "localist" movement, which grew out of failed pro-democracy rallies in 2014, boycotted the vigil, saying Hong Kong should push for its own autonomy, even independence, rather than the democratisation of the mainland, which is part of the event's main message. The Hong Kong Federation of Students -- a founding member of the alliance that organises the vigil -- also stayed away this year, saying the event had "lost touch" with Hong Kongers. Taiwan's new Beijing-sceptic president Tsai Ing-wen used the anniversary to urge China to "heal the past wounds and pain of the Chinese people". "Do not let June 4 forever be unspoken between the two sides," Tsai said on her Facebook page, in her first public comments on Tiananmen as Taiwan's leader. There were mass rallies in Taiwan in 1989 to support the pro-democracy movement in China, and Taiwanese civil groups will commemorate the 27th anniversary with a candlelight vigil in downtown Taipei later Saturday.